Mosquito Joe Franchise Review: Are They Worth The Cost? How Many Mosquitoes Do Bats Eat? 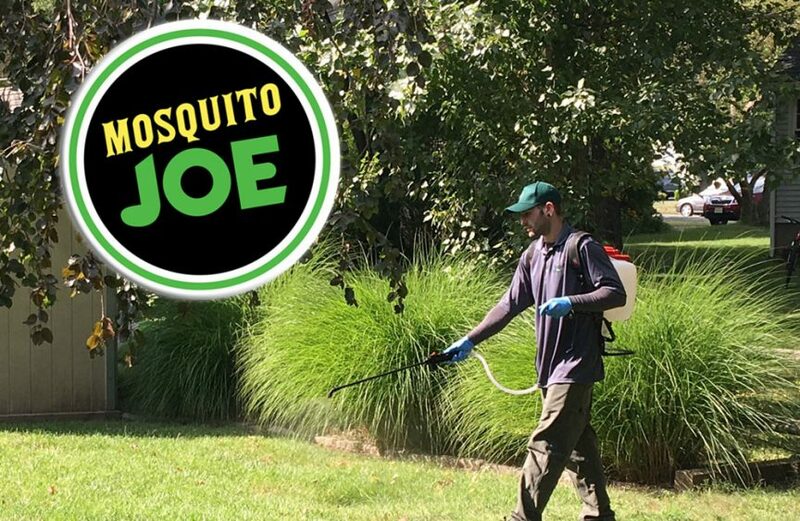 The Mosquito Joe franchise ranks among the most popular pest control services in the US. However, I couldn’t find a lot of detailed Mosquito Joe reviews online, so using their services was somewhat of a gamble for me. My garden is notorious for housing a large colony of mosquitoes, so I thought the cost of a Mosquito Joe expert would be worth it. In this review article, I’d like to share my personal experience. Please note that this is my personal experience, which could be widely different from yours. There are many different Mosquito Joe franchisees across the country. Each company location is different, and each employee is different as well. Please remember this before even starting to read this review. Having won multiple awards, the Mosquito Joe franchise ranks among the most trustworthy brands of pest control companies in America. According to their own data, there are currently 145 franchisees in total in 288 locations in the United States. The company offers franchise opportunities since 2012, yet has existed since 2010. Work hours can be tough: Most work 40 to 60 hours, or even more than that. Most also work evenings and occasionally weekends. This could impact the overall work quality (due to tiredness). It’s interesting to see this type of data, because it provides a good basis on which to build the overall verdict of the mosquito control service. When you pay for Mosquito Joe-service, you’ll pay a bit more than an independent pest control company. The thing you would pay for is, obviously, the extra trust and quality of service you’re going to get. From my experience, the franchise is very good on their overall service: I experienced them as being very dependable and having a good environmental conscience. Usually, the service does not consist of a single visit. The franchisees will come back multiple times to make sure the job is finished correctly. Pests have the tendency to come back over time, so having a company do this is very positive overall. This gives you the ability to contact the company over time, in case something went wrong or if some more work needs to be done, for whatever reason. Overall, the people have been very friendly towards me and I have never felt like I was treated unfairly. For my personal situation, I paid about $1000 USD for a single treatment, but that’s because I have a big backyard and I live in a rural area. On average, a single pest control treatment can cost between $160 and $300 for a ¼- to ½-acre property. A one-time application will last multiple days to weeks, after which another treatment can be required. Usually, you’ll be able to get some sort of discount (up to 20%) if you’re subscribed for multiple treatments, so do make sure to ask about this to the company beforehand! Travel cost: Obviously, it takes a while to get to a property. Gas mileage and travel time are included in the quote. If you’d like to receive an individual estimation, the best thing you can do is simply give them a phone call. Their computer system is able to look up your property location and size, and the quote is completely free (and without commitments). This really is the only way to get an accurate quote estimation. The phone number of your local Mosquito Joe franchisee can be found using the Zip Code tracker. 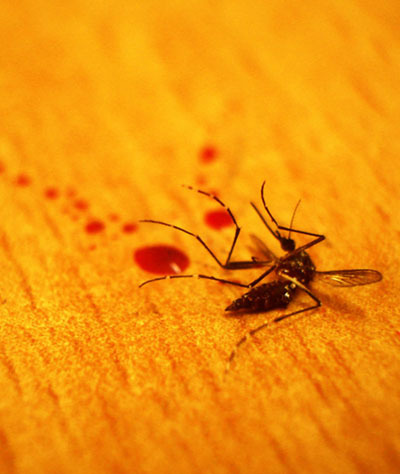 Simply enter your zip code on this page, hit ‘Search’ and you’ll get all the information you need about the nearest Mosquito Joe company, including their phone number for a free quote. Let’s zoom in a bit more on the available locations. If your location is not available on the list, or if there is information missing, please contact the Mosquito Joe team through this page. If you encounter this list of companies on a later moment, it is possible that come locations or contact details have changed over time, or that there are already more and newer locations available. If you happen to find any inconsistencies in the list, please feel free to contact me directly, using the contact form in the top menu of this website. I try to update this table occasionally, but I’m only a one-man team so please bear with me in case the info is not up to date. You can always refer to the official Mosquito Joe website for updated contact information. Thank you in advance for your help! What Chemicals & Equipment Does Mosquito Joe Use? Mosquito Joe uses two types of insecticide products for their main mosquito fogger equipment: The barrier mosquito spray uses synthetic forms of pyrethrins called pyrethroids. Pyrethrins are the natural byproduct of the Chrysanthemum flower. The second mosquito repellent used is natural garlic spray. All products used by the company are safe for your garden and EPA-registered. While the insecticide is a synthetic chemical, it’s chemical composition is exactly the same as you would find in nature, hence it is not dangerous for the plants in your garden (or for the walls of your house for that matter). The substance is commonly found in commercial products, such as pet shampoos and sprays. The products themselves are water-based. I was told that the garlic spray is very similar to the garlic in your kitchen, but more concentrated. So the plants are safe, but also the bees or butterflies will not be harmed by the chemicals used. They are specifically targeted at mosquitoes. Different from what most people think, the grass doesn’t need to be sprayed, only the other garden vegetation. So you won’t need to look out for walking in the grass after a treatment is finished. For people that specifically want to request an all-natural organic solution to their problems, there is the garlic solution, but there is also an option for rosemary & peppermint oils. This is one of the natural scents that will repel mosquitoes from your yard. And if they come in direct contact with this substance, the mosquitoes will immediately die. Both have professional websites: This is a good indicator of their level of professionalism. The one difference that is very clear, is the type of pests their ususally control. Mosquito Squad will generally only target mosquitoes and ticks. On the other side, Mosquito Joe is targeting mosquitoes and all sorts of other insect pests, which is a slightly broader scope. I personally only used Mosquito Joe for the purpose of eradicating mosquitoes, so I cannot say much about the cost differences, or the differences between service. If I needed to choose between the two brands for my specific location, I’d simply decide to get a quote from both and play them out against each other. Just tell the company with the quote that’s worse that you already got a better quote from their main competitor. That’s how you get those sweet discount deals! Being a clever consumer can save you so much money, you should try it some time! Conclusion: Does Mosquito Joe Work? Using a pest control service like Mosquito Joe is certainly going to help you get rid of your insect problems. But the question is if it is worth the extra cost. It’s probably too extreme to hire them for the average household, as there are equally good (yet cheaper) permanent anti-mosquito solutions like these as well. I always recommend people to try every option in the book (like traps, foggers, sprays or perhaps homemade solutions), before actually going the most effective and costly route, which is hiring professional pest control services. You have to be aware that Mosquito Joe will usually come back many times over the span of months. As long as the pest in your backyard comes back, the costs keep piling up. The pesticides used are only a temporary fix for a more persistent root cause. Which is, of course, the fact that your backyard or house was chosen as a good habitat by some of the peskiest insects around. Whether that are mosquitoes, bees, hornets, or other bugs. The clear answer is: Yes, Mosquito Joe absolutely works! It works great, the service is great, the people are friendly, and they truly get rid of pests for you. But in my opinion, the costs are simply too high to recommend them for an average household. If you want to get rid of insects for a party, or you’ve got a company that relies on an insect-free environment, by all means, go for it! If you’re an average household with no special requirements, I’d say, check out and try some of these anti-insect products first. If those don’t work for you, then go for the last option and hire them.